The Parliamentary Election in Finland will take place on Sunday, April.14th, 2019, and the Finnish Pirate Party is going in with a solid chance of getting at least one Pirate elected. 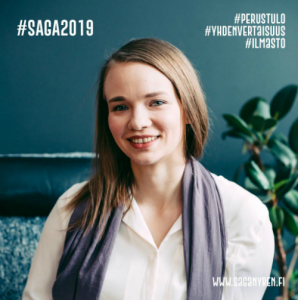 With only a couple of weeks to go, here is a campaign update from Saga Nyrén, a first-time candidate in Helsinki. Thank you Saga! 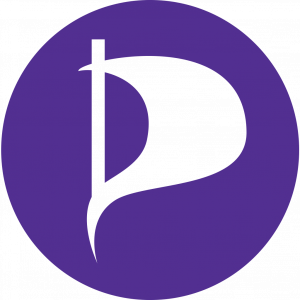 On behalf of PPI, we wish the Pirate Party of Finland all the best during their upcoming elections! The Pirate Party of Finland celebrated it’s ten year anniversary last May. This April, we have a good shot at finally getting our first representative into parliament. The road has not been easy or fast, but it has been necessary and all that hard work is starting to bear fruit. Already in the 2017 municipal elections, we took great strides forward by securing one seat in city council the capital, Helsinki, and another one in Jyväskylä. In Espoo, the second largest city in Finland, we narrowly missed by a few dozen votes that went to our electoral allies, the Liberals. Second place, however, meant a deputy councilor and plenty of seats in the different municipal committees in Espoo as well. Having seats in local municipal governments has meant that our policies are being put out there, tried and tested for the first time. Our current chairperson Petrus Pennanen has had a lot of success with pushing for openness and transparency in Helsinki, like livestreaming meetings that used to be closed. It’s been great to see how much we can achieve when we have a seat at the table. That is why we are all very excited about the elections that are taking place in mid-April. Due to our electoral alliance in Helsinki with three other parties, we have a very high probability of getting a seat in parliament. With seven carefully selected candidates in Helsinki, including myself and our chairperson Petrus Pennanen, we are putting on our best show and sparing no expense in letting the voters know: This is it, now is the time! We are currently polling as the most popular party not yet in parliament, surpassing some big names who have tried to form new parties. We’ve also had plenty of visibility due to Petrus Pennanen’s success with his company Leiki. Leiki is a content classification service using artificial intelligence that was bought by the American DoubleVerify. Another reason behind our confidence is that we have formed alliances with other smaller parties to join forces to challenge the current status quo. The Liberal Party, the Feminist Party and the Animal Justice Party are with us in Helsinki, and the Liberals also in some other voting districts. The Finnish voting system doesn’t have a voting threshold, but due to the D’Hont method, it can be tough for new parties to break in. We have a busy election season this Spring as the elections for the European Parliament are right after the national parliamentary elections. These are my first big elections as a candidate and while there’s a lot of blood, sweat and tears, it’s been an amazing ride and I’m looking forward to the last hectic weeks of campaigning! To be upright, decent, and honest? To have our best interest at heart? And take away all of the fear? Thanks for this information, Saga. If your alliance manages to win a seat, who would it go to?